The Department of Biological Sciences at the University of Pittsburgh extends its teaching mission beyond the walls of the Clapp / Langley / Crawford complex to bring understanding of science to the greater Pittsburgh area. It is the goal of the Outreach program is to bridge the gap between the science community and K-12 teachers and students. In past years this has been accomplished through several successful programs, and now more than ever we are finding new ways to effectively translate current science into the classroom. Our programs support teachers, students and classrooms by providing cutting-edge technology and developing new techniques for incorporating that technology into the classroom. There are several programs targeted to different facets of the Outreach program goals. Explore our links for more information about these programs, which include workshops for High School teachers, field trips to University facilities, and on-site visits to Elementary, Middle, and High Schools - all made possible by funding from The Grable Foundation and the Louis and Sandra Berkman Foundation. Congratulations to the following students who were awarded the 2019 University of Pittsburgh Excellence in Biology Award for demonstrating outstanding experimental design, in depth background knowledge and excellence in presentation at this year's regional competition! 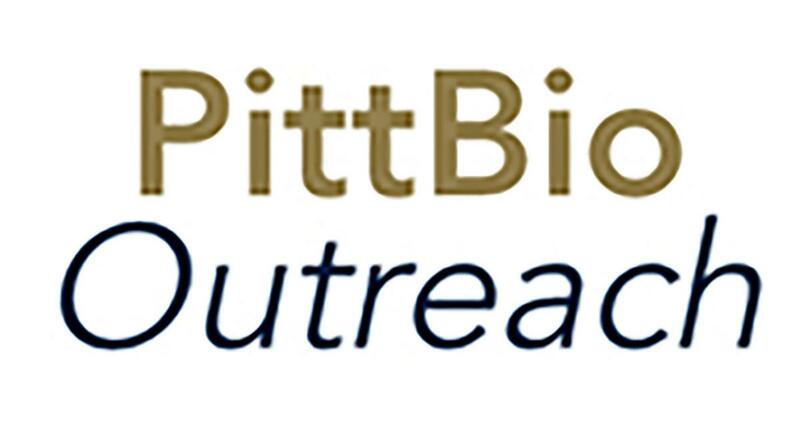 Yara AlMoussa, Grade 7 Pittsburgh Science and Technology Academy: "Glucose Concentrations Effect on Physarum Chemotaxis"
Liam Tinker, Grade 10 Pittsburgh Central Catholic: "Dimethylformamide Effects on Stem Cell Behavior"
Check back in 2019 for Summer 2019 workshop offerings! Biology is a rapidly changing field and scientists make discoveries daily that alter our understanding of biological principles and shape the direction of our future investigations. The High School Teachers' Workshops are intended to update topic knowledge and to facilitate the introduction of contemporary topics and techniques in the classroom. For more information, contact the Outreach Coordinator, Becky Gonda, Ph.D.